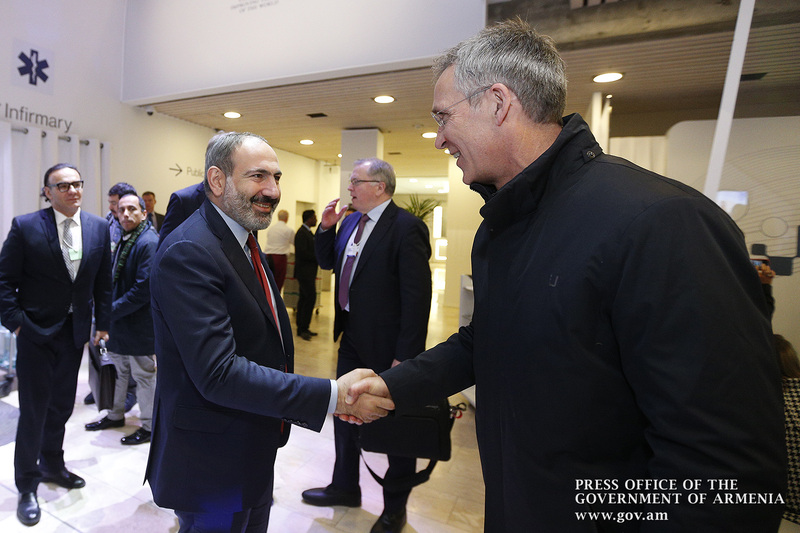 Prime Minister Nikol Pashinyan continues to hold private meetings with the leaders of different countries and organizations on the margins of the Davos World Economic Forum. 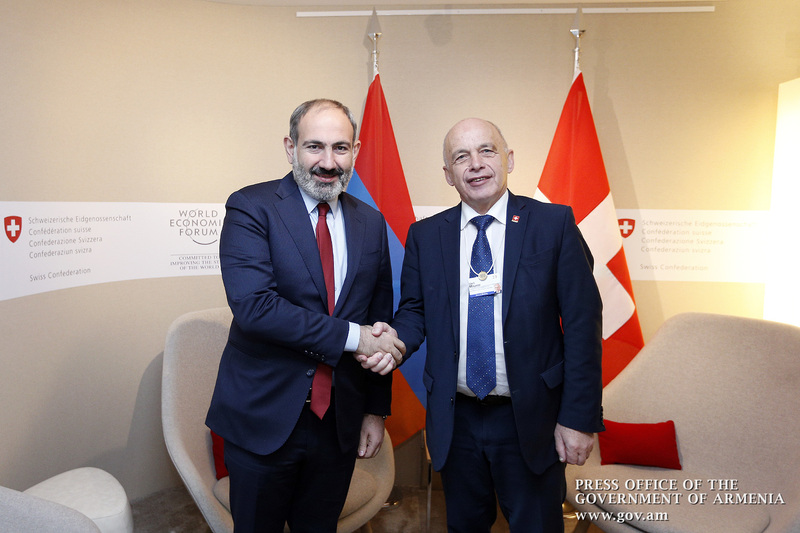 Nikol Pashinyan and President of the Swiss Confederation Ueli Maurer hailed the current level of political relations between the two countries and touched upon issues related to the development of economic cooperation. The parties agreed to get the respective diplomatic missions to identify those economic sectors that can be promising in terms of developing cooperation. They expressed confidence that as a result, good opportunities would be provided for implementing specific investment projects. 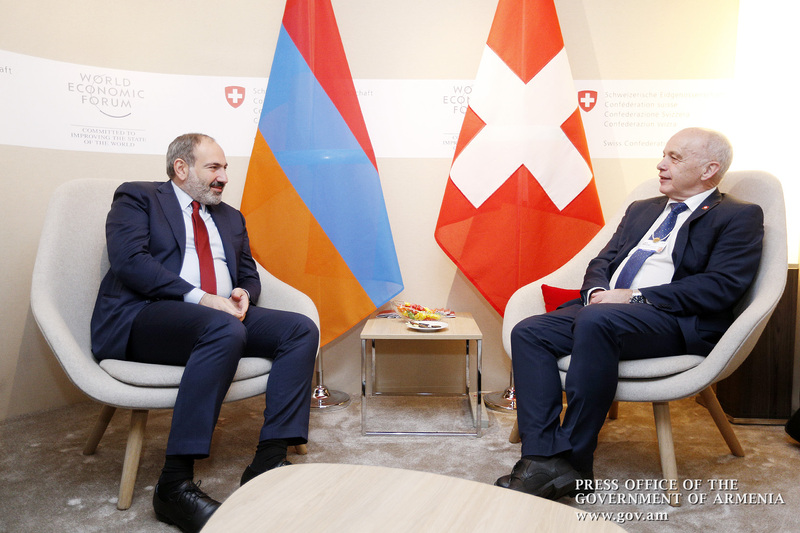 Nikol Pashinyan noted that Switzerland’s experience in the development of democracy is highly appreciated, and Armenia is keen to promote bilateral cooperation with a view to implementing multifaceted reforms in our country. 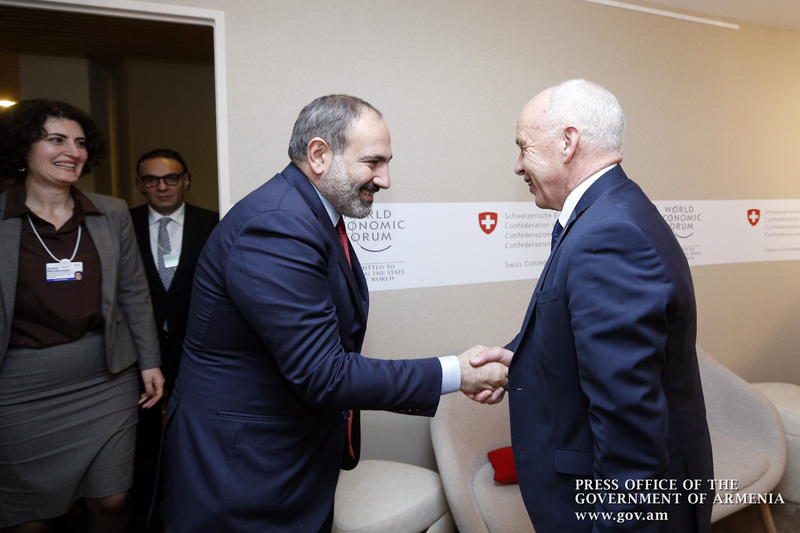 In turn, Ueli Maurer assured that his country is prepared to deepen ties with the Armenian government in that direction. 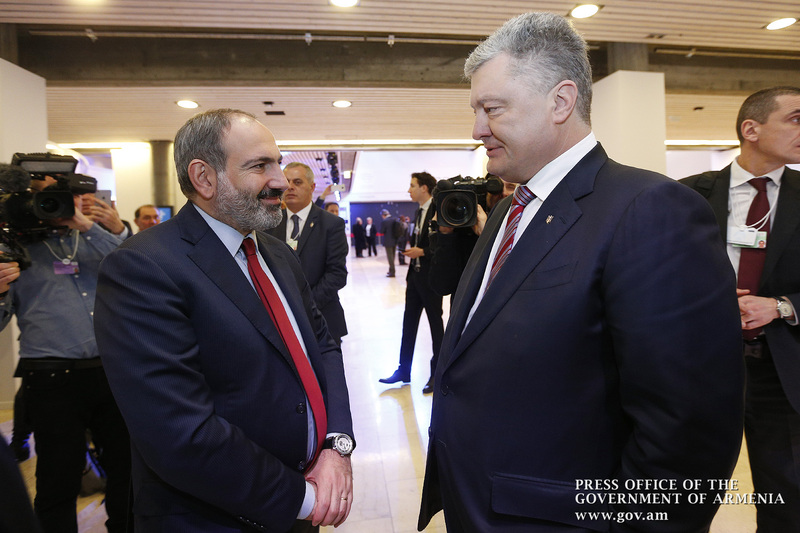 Nikol Pashinyan next met with Rwandan President Paul Kagame to discuss issues related to the development of economic ties and in particular, the implementation of investment programs. The parties agreed that cooperation in the field of information technology could be quite promising. Noting that he was aware of Tumo Center’s successful activities, Paul Kagame said his country was eager to develop cooperation in that area. 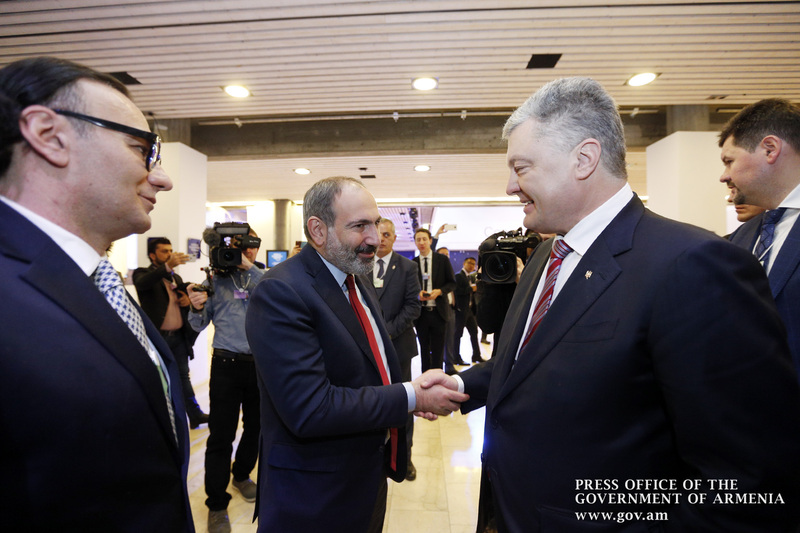 In turn, Prime Minister Pashinyan advised that the World IT Congress will be held in Armenia this October and invited Rwanda IT companies to take part in that important event. The interlocutors also touched upon the cooperation within the framework of the International Organization of La Francophonie. 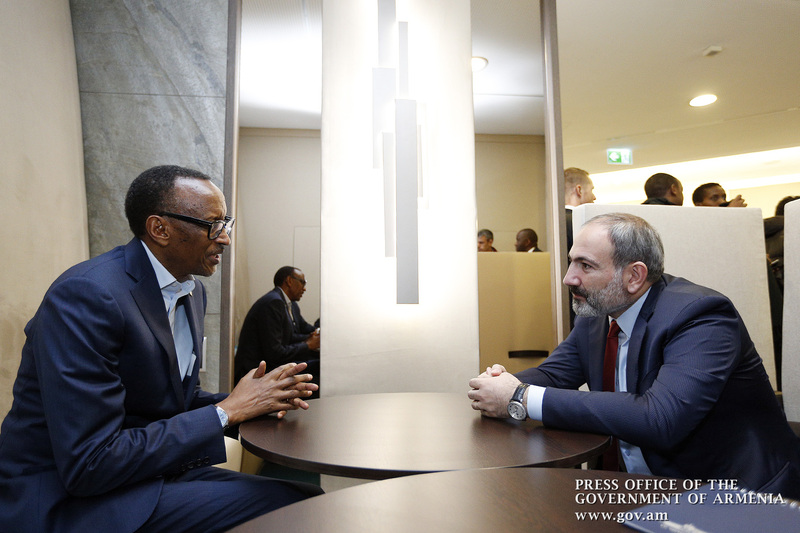 Paul Kagame praised the Yerevan Summit, noting that it opened a new chapter in the relations of member states. 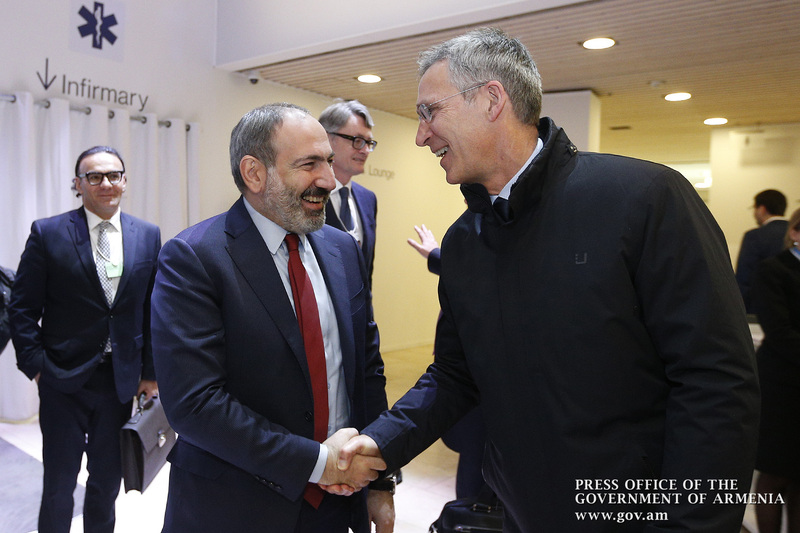 Prime Minister Pashinyan also had brief meetings with Ukrainian President Petro Poroshenko and NATO Secretary General Jens Stoltenberg.